"The existence of two different league in the same geographic spaceis bad from a few points of view. It doesn't favor the development of professional sports clubs, it's not conducive to investment, undermines the interest of fans, creates difficulties with the identification of the two leagues. Not to mention the problem of basketball broadcasting on TV - both league would never get equal time on the screen. I think that in our common interest to seek to ensure that there was one league." - said BEKO PBL Chairman Andrey Vatutin on Saturday. "I've always been saying that any possible cooperation should be based on the interests of Russian teams, regardless of their geographic location. Recentle we had a few meeting with the VTB-League board, and we realized that we could reach a compromise. 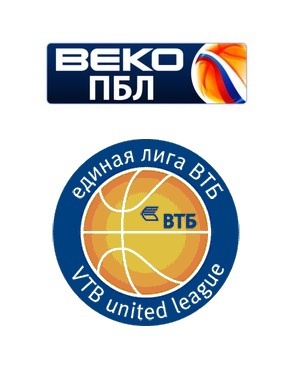 Therefore BEKO PBL Teams appealed to the League of VTB with the proposal to maximize the representation of Russia in the 2011/12 season, with the possible use of qualifying tournaments. This will optimize the congested calendar and hold BEKO PBL championship in two rounds without prejudice to any particular teams. If our request is supported by the president of the VTB-league, Sergei Ivanov, there will be 8 Russian teams playing next season. The aim of all these steps is to create a strong East-European league in one or two years, with as many Russian teams as possible."